Intarsia—a method of working patches of color—doesn't have to be intimidating, and it doesn't have to create a snarled mess. This workshop is based on a scarf/cowl recipe that includes simple, geometric intarsia motifs of various sizes. The recipe starts with two-color intarsia and gradually increases in complexity. By the end of the workshop, you'll feel comfortable working with at least four colors per row, and your color transitions will be top-notch! New to colorwork? Learn to knit Fair Isle or stranded knitting using two colors per round. Want to learn a new method of knitting Fair Isle? Learn to knit with one color in each hand, two colors in your right hand, or two colors in your left hand. 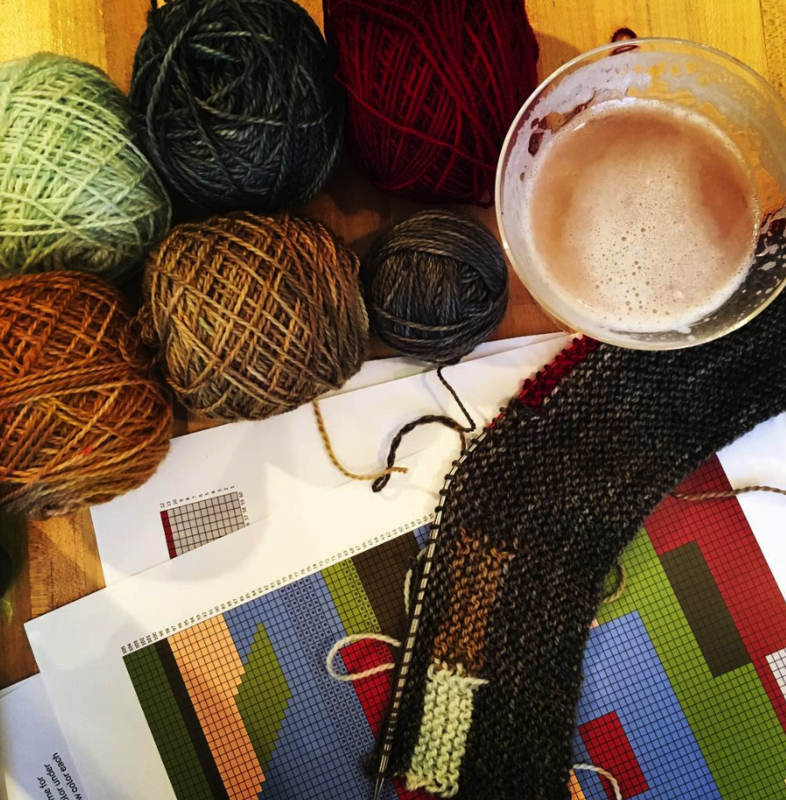 In this workshop, we’ll use the Madison Park hat to practice Fair Isle knitting. This hat uses small, intuitive colorwork patterns that enable you to focus on your technique. There are no long floats, so you won’t need to worry about catching your yarn when working with two colors. By the time you finish the hat, you’ll be comfortable with your chosen method of Fair Isle knitting. Students receive a 10% discount on materials purchased at Flying Fibers for this class! Skill Requirements: Must be able to confidently cast on, knit and purl in the round , work basic increases and decreases and bind off with no assistance. Eyeing colorwork cardigan patterns? Tired of working purl rows on Stockinette cardigans? Afraid to cut your knitting? Overcome your fear with NO RISK! In this workshop, you’ll steek old or thrifted sweaters (bring your own or purchase one from Ann’s collection!). You don’t have to knit anything in preparation! 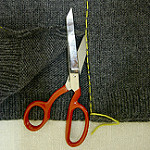 You’ll work through all the steps of steeking a sweater, and you’ll be ready—and excited—to steek your own work. We’ll be doing crocheted and hand-sewn steeks on the sweaters. Ann will demonstrate and provide examples of both methods and discuss the pros and cons of each. You’ll leave the workshop with a booklet of photo tutorials for all the techniques discussed. Fee: $120.00 per person, not including materials. Skill Requirements: Picking up stitches, and confidently knit and purl.